StackUp! 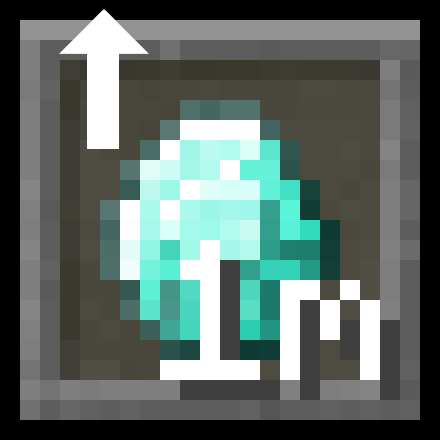 is a Minecraft mod which lets you remove the vanilla item stack size limit of 64, instead setting it as high as you want*. You can find an introductory tutorial (assuming 1.12) here. StackUp! operates in the form of an expansion to the datapack format. Use the built-in scripting system in datapacks to modify stack sizes. The changes will synchronize from server to client! Upon installation, a "stackup.cfg" configuration file will be created. Do not forget to open it and set the maxStackSize configuration option - otherwise, items will still be hard-limited by 64! The config option sets the maximum global stack size. You can set it to anything you want - 99? Five hundred? Ten thousand? One million? The sky is the limit! After this, you may notice that all of the blocks and items still have a stack size of 64! That is correct - to prevent balance-breaking issues, StackUp! will only change default stack sizes by itself in very rare cases. To change items' stack sizes, you can either use the built-in scripting system introduced in StackUp! 0.2.0, or an external mod such as CraftTweaker. This patch has been tested with a lot of mods (including, but not limited to Refined Storage, Applied Energistics 2, Charset, Iron Chests, Quark and Rustic), but compatibility is not 100% guaranteed. Please report any bugs you find to us directly and not to other mod authors! For modders: While I do patch most common patterns of "maximum slot limits" in inventories, I may not be able to catch more advanced ones. Items.AIR.getItemStackLimit(); is your friend! For modpack developers: Make sure to read the scripting system documentation above. You may also be interested in the list of planned features. Doesn't seem to be compatible with most items from Modern Warfare, namely bullets. Any chance you can take a look at that? The mod is proprietary, and I have no interest in reverse-engineering it to figure out the issue. The mod author would have to give some leads. That's what I figured, oh well. Thanks. I'd hate to be "that guy", but will this get ported over to Forge 1.13? I've got a whole bunch of mods that are finally available for use for Forge 1.13, and I'd hate to miss out on a great mod like this. I cannot for the life of me get this mod to work, at first I thought it might've been an issue with another mod in my modpack, but after setting it up by itself it gave me the same issue. As far as I can tell I've followed the tutorial 1 to 1, copying the names of directories and files just in case I've misspelled something. The only difference I've seen this mod make so far is a change in font size on item stacks. Quick Question - Does this allow fluid stacking like lava buckets etc? Its so freaking tedious to deal with manually selecting buckets of fluid. YOU ARE AMAZING! I've looked for a mod to modify max stacksize for AGES, practically since I started playing, because 64, in many cases, simply isn't enough, and having this or that storage mod became clunky and got old very quick, with ever-increasingly complex structures just to hold more of this than that can and what not. YOU ARE A LEGEND. Using 1.12.2, Forge 2658, StackUp 0.2.3 and a number of other mods that don't modify stacks (that I know of), and in any case they all worked together in singleplayer. That Forge is a bit old. Please upgrade. Updated Forge to 2768. Had to also update its libraries. Result - Player inventory works up to 999, but when interacting with a chest inventory, anything above 127 deletes the items. There's no mention of this in console/debug serverlogs or client logs. Is StackUp! installed on both sides? What chest are you using? StackUp is on server and client. Chests being used are vanilla single and double chests. I had it off my server for a week (mainly because we were stuck with Forge 2658) and after a couple weeks I got access to a test server to add mods until StackUp breaks. Turns out the culprit mod is Little Tiles, which does have custom inventory. I've submitted the report to the LT Discord. I'm not sure if this is an issue of Little Tiles. I don't know what the mod is doing, but I can't recommend using it. Stacksize limitation is [a] quite difficult change and there will be most likely even more issues. Fair. I'm, however, quite confident that the mod isn't going to cause that many issues in the long run. Do you have an idea what could possibly cause the issue? I am having a problem similar to wozat on my dedicated server install: stacks with over the standard 64 max disappear when you open other inventories. I tested with cobblestone (set to a stack max of 2048) with standard inventories only (vanilla player, vanilla chest, vanilla dispenser). The Forge version is the latest recommended build (14.23.5.2768) as is the StackUp. Little Tiles mod is not installed but there are other mods with custom inventories I'm sure. Odd that things *disappear* instead of just being truncated back to 64. Also items disappear when opening vanilla inventories. Nothing is being blurbed into the logs to indicate StackUp had any issues on initialization. Note: as far as I can tell, things work perfectly in single-player with an almost identical install (some client-only mods are not present on dedicated server). Did you follow the tutorial? Increasing the game's maximum stack size will not automatically set the blocks to stack higher - those are two separate operations.